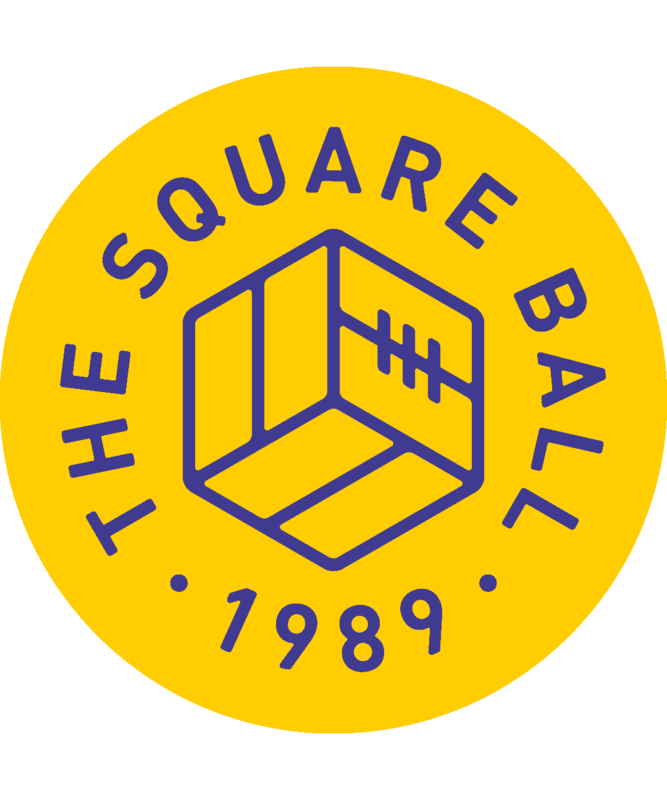 The Square Ball Week: Brave or Foolish? 2018 begins, and Leeds United have found a new way of making people unhappy, by being sixth from top of the Championship. That ought to be great but it’s not. It’s better than being sixth from the bottom of the Championship, but in some ways that would be preferable, because sixth from bottom in January brings clarity and focus. Clarity because the only aim is to stay up. Focus because all you can do is panic. The strategy in that situation is simple: sack the manager, find all the cash you can, throw it at any player you can get, and hope. If only it were that simple at Elland Road. They had the chance to sack the manager but didn’t, and now it’s awkward. 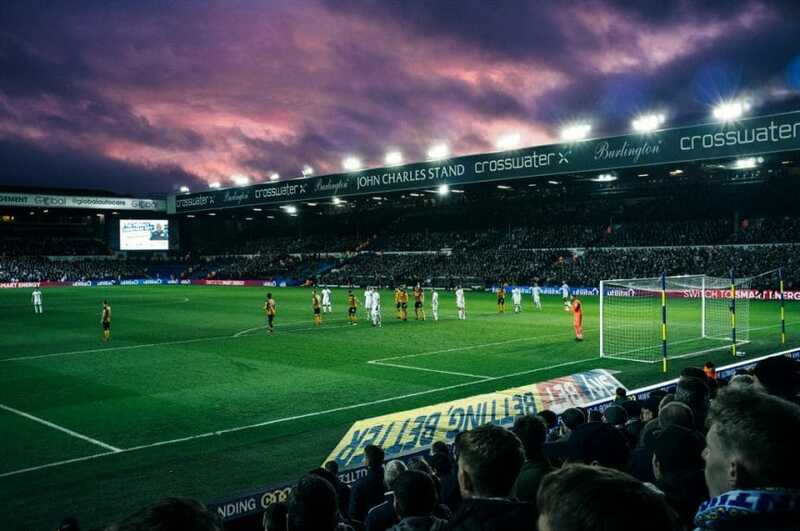 Leeds United have a team that few people think is good enough for promotion to the Premier League, but that is also in with a very good chance of promotion to the Premier League. To make the most of that chance, the team will have to be improved with new signings, but then again, without new signings, it’s in the play-off places already. But can it stay there, or climb higher, without new players? And can those new players be found and bought? Or, given that this team isn’t really good enough for promotion without new players, is this really a genuine chance of promotion at all, or just a mirage? The situation is bringing the hopes and wishes of the fans into conflict with the cautious strategies of the football club. Andrea Radrizzani and Angus Kinnear insisted throughout the summer and the early part of the season that promotion was too ambitious a target for their first season running the club, and for Victor Orta and Thomas Christiansen’s first season running the team, and set a target of getting into the play-offs almost for a laugh. Finish above last year’s team to show Garry Monk what’s what, then see if we can fluke a day out at Wembley. In the boardroom, the pressure for promotion was definitely not on. But halfway through the season that target is being met — we’re one place above last season’s finishing position — and the pressure to exceed that target is growing in the stands. Strategy and patience have no place on a football terrace, especially not terraces filled with fans who are far from their first season with this football club, or with this division, or with the frustration of seeing the world of the Premier League keep turning without Leeds United’s involvement, while attempts to get Leeds back on the billion-buck globe constantly come to nothing, through self-sabotage as much as anything else. “We’re missing Howson. Weird that we never replaced him. How can you say you’re aiming for promotion and then sell your captain?” is the Robert Snodgrass quote that sums up much of the last fifteen years, as he pondered life without Jonny but with Ken Bates. It still very much applies, although perhaps in a different way now. How can you say you’re aiming for promotion and then sell your top scorer, your best left-back, your (mostly) reliable goalkeeper, letting your best defender return to his parent club? The question is, when? And the answer that is most likely to disappoint, and that we’re most likely to hear, is ‘Not in January.’ Because we are aiming for promotion. Just not necessarily right now. Results after Christmas haven’t made that idea any more palatable. The defeat at Birmingham City and the draw against Nottingham Forest felt like last season’s collapse starting early, while the areas that need strengthening glared obviously at the director’s box, and the occupants glared right back. Or left back, as the case may be. In some ways I can understand their position. Andrea Radrizzani came to a club that has been crying out for someone with a strategy for getting Leeds United back to the Premier League, after fifteen years during which nobody has given that proper thought. The first seasons after 2003 were more to do with failing to arrest a slide, and since then Ken Bates preferred to talk about the Premier League on the radio than do anything about joining it, GFH turned out not to have promotion on their mind, and then Massimo Cellino arrived, with a mind full of rabbits and cognac. Amid the rubble they left behind, Radrizzani has won a lot of support in Leeds — among business and civic leaders, as well as fans — by talking candidly about not aiming for promotion in earnest until next year, while putting plans into motion that will only bring benefits — for us, for him, for anyone — in the longer term. He’s given himself five years to fail, at which time he says he’ll either sell or seek help; that’s five years committed to trying to get Leeds United promoted to the Premier League, five years longer than anybody else has given it in fifteen. But now the pressure is on Radrizzani to rip up the patient strategy he’s been selling and go for promotion as soon as a faint chance has appeared, and after a career spent not running football clubs, I can imagine he’s a little bemused. I don’t expect any board meetings at MP & Silva responded to his careful presentations about five-year growth targets by telling him, sod that, double whatever anyone else is bidding for the Transylvanian Netball League and get their media rights snapped up now. And if he rebuffed those ideas and stuck to his strategy, I doubt he had 30,000 people booing him for it, or replying to his tweets with ‘SIGN A GOAL SHOOTER’. Football’s not like other businesses, though, and one of the question marks about Radrizzani was always going to be about how well he adapted to his chosen new life. The conundrum here is that nobody, really, is wrong. Radrizzani is not wrong to look at the league table, see that Leeds are on course for the finish he is targeting, and let that continue. Fans are not wrong for looking at the league table, seeing just a six-point gap to second place, and wanting the club to just go for it. And Victor Orta and Angus Kinnear are not wrong for highlighting, when they have, that the January transfer window is a bad time to go for anything. The January transfer market is a gamble, because it’s the domain of the desperate — the desperate to play, and the desperate to buy. The good players don’t move during this window, or if they do, they don’t move cheap. No team wants to see its best players leave halfway through a season, so to sign the best players, a club has to spend high. Orta and Radrizzani, we assume, are not up for spending high, but we also know they have money burning in their pockets. If they need to spend high, they can. But if they’re not going to, they need to say so, and not let the January transfer window drift through assumptions into disappointment and anger. This club has seen incoming transfer fees converted into executive suites, season ticket money mortgaged for building work, income spent anywhere but on a team that might win us promotion. Radrizzani wants us to “rest assured” that the Wood fee won’t go the same way, but no Leeds fan can ever rest assured of anything without constant reinforcement and, eventually, proof. Rightly so. Radrizzani has got a lot of friends here, but most of them are also seasoned, cynical sceptics. My reading of the club’s stance is that if there are players available that they want, then they will try to do the deal at a price they deem fair. The transfer of Yosuke Ideguchi is the clearest example: he’s not even eligible to play for Leeds until next season, but he’s the player Leeds want and he was available now, so they’ve bought him. Given the attention paid to scouting and player analysis since Orta arrived, I expect there’s actually little fear about signing players in any window, if they’ve identified them as potentially beneficial: they just have to be the right players for the right price. It would be fairly reasonable for the club to say it has looked at all available possibilities to strengthen the side for the next few months, but can’t find the players to do it at a price that would make it worthwhile. If the club don’t think they can get value out of the transfer market now, and that the Wood money will stretch further and buy better in the summer, that’s sensible enough. But if that’s the case, then at some point they need to say it. The apparent disappearance of the summer’s incoming transfer money is already contentious, and the transfer window has barely opened. If the club’s view is that saving for the summer will be of greater long term benefit than trying to find an immediate hit for 2017/18, then it should let us know. The party line from Thomas Christiansen has been that he believes this squad of players is good enough for promotion, but that doesn’t really ring true when even Gaetano Berardi doesn’t think he’s good enough at left back. But if the true case is that there isn’t a better left back available to buy, so Christiansen is happy to try for promotion with what he’s got, that’s what the public message should be. With a clear public stance the conversation could at least move on from speculation, rumour and doubt, to whether this is all a good idea or not. The fear we have as fans is that there’s never another season after this one; if you don’t take a chance when you have a chance, you might never get a chance again. The irrationality of that is actually being proven this season, given that last season’s screw up felt like losing the last chance and now here we are with another, but there’s no doubt — and Radrizzani complains himself — that promotion is being made harder every season by the growing number of clubs with parachute payments, and the occasional Wolves. Leeds have an opportunity this year. They can’t ignore it. Whatever they do, the club will argue that they’re not ignoring it. Despite the catastrophe of autumn, a team of new players has survived under its new coach, at a new club with a new setup, to end the first half of the season in sixth. They can point to the benefits that growing familiarity will bring in the second half of the season: Christiansen has said that his job is becoming easier now that every work day is no longer new; and to the players that have yet to fully play their part: Ekuban, Klich, Pennington, Cibicki, Anita. If we want a gamble on new players, they’ll say, how about we gamble on the ones we signed in the summer but haven’t played yet? The club will argue, too, that by doing things its way, it’s not giving into fear. Because not to buy players in this window would be a very bold statement of faith in the current squad to finish top six. And to believe that the summer’s transfer activity will deliver what’s required to aim for top two would be a very bold statement of faith in Victor Orta’s ability to secure the right players, and indeed in the whole club’s strategy for building beyond this season. That doesn’t just mean faith in buying players, it means faith in keeping them, even if Southampton bring the Van Dijk dollar for Jansson, or Liverpool bring the Coutinho cash for Saiz. It’s a brave club that turns a potential promotion campaign into a free hit, because it’s so confident it’ll be doing even better next season. I wish I was that brave. If they’re right, then great. From a detached perspective, I’m interested to see whether this squad really can get into the play-offs, get itself to Wembley; can Cibicki develop from these flashes of being a player? Roofe’s got ten goals; can he get twenty? Can Lasogga learn how to run? It appeals to the romantic in me too. The January transfer window is often described as a gamble, and a big part of me would rather gamble ten quid on a Berardi winner at Wembley than our whole transfer budget on Jordan Rhodes or whoever. And if we don’t go up this season, but summer brings the business and next season is a proper go, I won’t be regretting this January come May 2019.